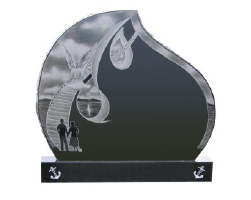 We specialize in traditional & creative memorials, monuments, headstones & plaques. 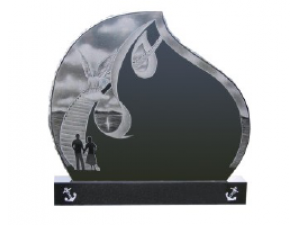 All our memorials, headstones like Special Etched Tear Drop Headstone In Black Color and plaques are crafted using only the highest quality products to ensure satisfaction not just for today, but for the future as well. We particularly specialize in the use of granite. Its enduring qualities, including strength and beauty mean satisfaction for generations. It is an exceptional stone that can be found in many colours and worked into traditional and modern shapes with a variety of finishes.